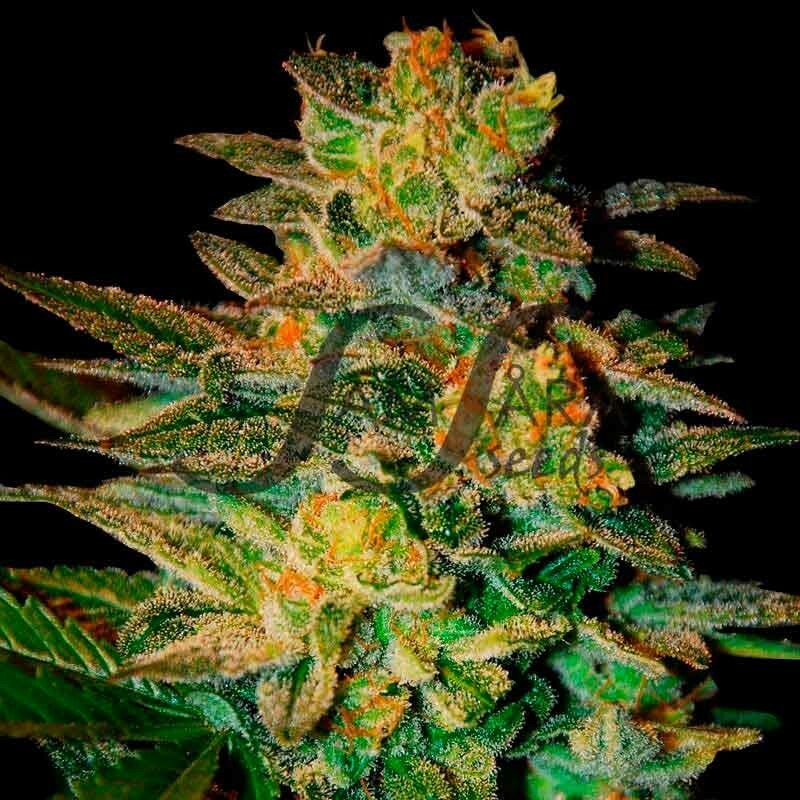 One of our best medicinal varieties, she was developed for patients suffering from hyperactivity, prolonged stress, insomnia or simply for those needing to chill out and forget about their everyday problems. She’s the result of crossing the multiple cup-winning Mazar with Northern Lights whose genetics are among the most treasured by many of the oldest seed banks on the market. Of medium height with large lateral branches laden with big, resin-packed buds, she’s in great demand in California’s medical clubs. This early flowering hybrid will dazzle you with her resin, blueish tinge, her great yields, her yeasty aroma and the citrusy overtones of her velvety taste.